What does a Figaros Pizza Franchise Cost? Fresh ingredients generously portioned lead to our pizzas having “Flavors That Sing!” Consumers love the food and you’ll love the system. Celebrating our 25th anniversary in 2006, we’ve recently completed a brand refresh and have a new store design for both delivery / carry-out units as well as sit-down units. Whether you are looking to operate a single store, run multiple stores or to build out an entire area, Figaro’s Pizza should be your choice. 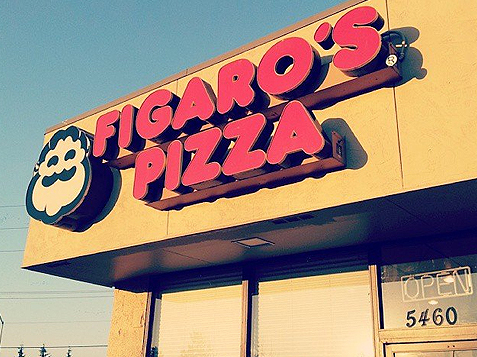 Be your own boss and consider owning a Figaro's Pizza business. There's dough to be made at Figaro's. Fresh ingredients generously portioned lead to our pizzas having “Flavors That Sing!” Consumers love the food and you’ll love the system. Celebrating our 25th anniversary in 2006, we’ve recently completed a brand refresh and have a new store design for both delivery / carry-out units as well as sit-down units. We provide continuously updated training, operations and marketing support both in the field and from the corporate office. We are accepting applications for single store and multiple store operators as well as Master Franchise area developers. We make dough fresh in the store daily We use only 100% REAL Mozzarella Cheese We use only the choicest meats with no fillers and excess fat removed We use only the freshest, select vegetables – never canned or frozen We use special, custom-blended spice mixtures We never use MSG in any of our ingredients. Our recipes combine these great ingredients into pizzas that have a unique taste per bite. The distinctive flavors of our pizzas combined with prices at or below the national chains leads consumers to consider Figaro’s a great choice and a great value for their family’s dinner. 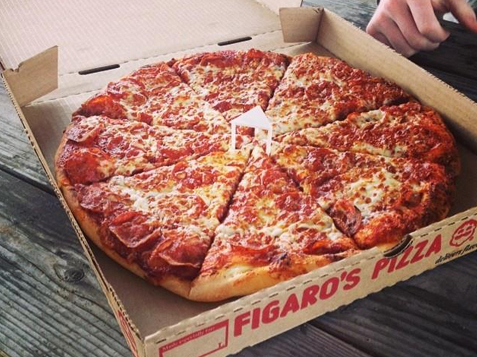 Figaro’s Pizza was a pioneer in the Take & Bake pizza business 25 years ago. Ovens were added ten years later. Take & Bake is still a significant portion of sales in our units in the Pacific Northwest and a unique point of differentiation in our stores in the rest of the country. We’ve recently refreshed our brand image including an updated logo, new ads, boxes, menus and a new store design. The store design combines the feel of a Tuscan kitchen with modern merchandising elements as well as lighthearted touches like posters drawn by a prize winner children’s book illustrator. The décor is warm and inviting as are the smiles on the faces of our staff and customers. Figaro’s Pizza stores can be designed to fit a variety of retails spaces. The primary layout is for a 1,000 to 1,250 square foot delivery / carry-out model. 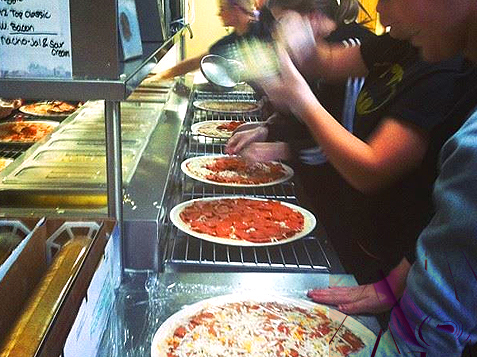 For larger spaces, seating can be including and the décor and merchandising elements include a viewing window so kids and adults both can watch their pizza being made and learn about the freshness and flavor our products. We offer assistance in nearly every aspect of your business, from site selection, lease negotiation and construction to training and ongoing marketing and operations support. Our team of professionals assures that while you may be going into business for your self, you are not going by yourself. Whether you are looking to operate a single store, run multiple stores or to build out an entire area, Figaro’s Pizza should be your choice.